Got gardening questions? We’ve got answers! Visit Our Extension Master Gardener Info Table. 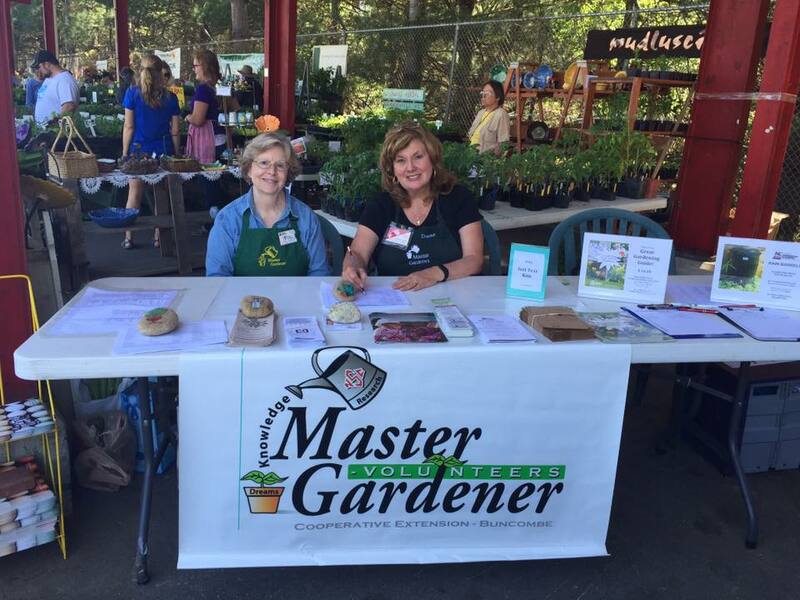 Locate the Extension Master GardenerSM Info Table at tailgate markets and garden events in Buncombe County where you’ll find Master Gardener volunteers ready to help. Ask questions, get advice, and explore trends and best ideas in gardening. Bring samples of plants and insects for identification and problem diagnosis. You can also learn about upcoming Master Gardener programs and pick up soil test kits. 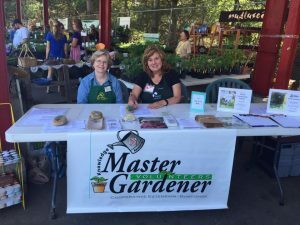 The Extension Master GardenerSM Info Table is open at select events beginning in April. Click here to download the 2019 schedule. Our Garden Helpline is another way to get your gardening questions answered. Master Gardener volunteers are available for phone calls, walk-ins, and emails. Got gardening questions? We’ve got answers! Visit Our Extension Master GardenerSM Info Table. The Extension Master GardenerSM Info Table is open at select events beginning in April. Click here to download the 2018 schedule.